Yay! The most wonderful time of the year is here. I love Christmas. I love decorating for Christmas. I love everything about it. Well, except for crazy drivers on the road out shopping (you’re not one of them, are you?). And the lack of money (anyone want to give me some?). And feeling behind and stressing about it (that never happens at our house). OK, so Christmas isn’t perfect. And I really do love decorating. I guess you could say I go all out. It gets a little chaotic, especially with a 2-year old bent on destruction running around, but it’s all worth it. I promise. #1. The 1st thing to do is to get out all of your decorations. Yes, all of them at once. You don’t want to forget something. Put the boxes in the room where the decorations will go, ie: livingroom box in the livingroom, downstairs family room box in the family room, etc. #2. 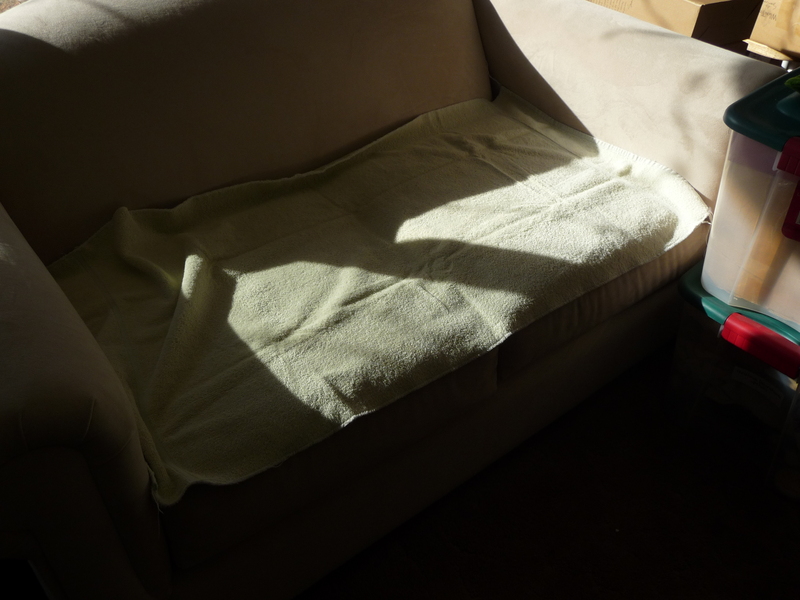 Get some towels, sheets or blankets and lay them over your nice furniture (like your couch). But it will protect your furniture from dirt, dust and scratches this way. Sorry for the bad photo here; the light was pretty harsh at the time. #3. Take a picture of your home decor before you put up your Christmas decor. Why? So when Christmas is over and it’s time to put your everyday decor back up, you won’t have to try and remember where everything goes. This picture is from the top of our piano. I really don’t have a hard time remembering this one, but bookshelves and places with lots of home decor are definitely good things to take pictures of. That’s it for today! This is just a snippet to get you started. There’s more to come, so check back soon! This entry was posted in Holidays, Organizing and tagged Christmas, decorating, pictures. Bookmark the permalink. 2 Responses to ready, set, decorate! love the picture tip!! Keep the good ideas coming.